“My planet, my neighbourhood” is a unique programme offering children the opportunity to participate in an innovative, critical and sustainable brainwork on the major challenges of our century. We invite children to take up the challenge of addressing global issues by processing them through the reality of their neighbourhood. Today, the program embraces topics like mobility, housing, food, urban development projects and le wellbeing in community life. By projecting those global issues on their neighbourhood scale, children explore current practices and habits, call them into question, raise issues and come up with solutions. The creative process ends with the editing of podcast, which allows spreading children’s ideas and reaching out to local stakeholders. Hereby, children become aware of their abilities to co-create and have an impact on the city. This program aims at creating a dialogue between children and municipality stakeholders. Partner with us to roll out this programme! In dialogue with Renault Trucks, “Open road” was designed to specifically enhance confidence and trust of teenagers by giving them keys to better understanding themselves and their environment, and to build their own future. Over three half-day workshops, participants are invited to create podcasts based on fictional stories they imagine. They get the inspiration for their stories from a reflection on their own strengths and weaknesses, and on the values they stand for. They discover storytelling techniques as well as sound recording and audio editing tools, in order to create and record their own story with total autonomy. 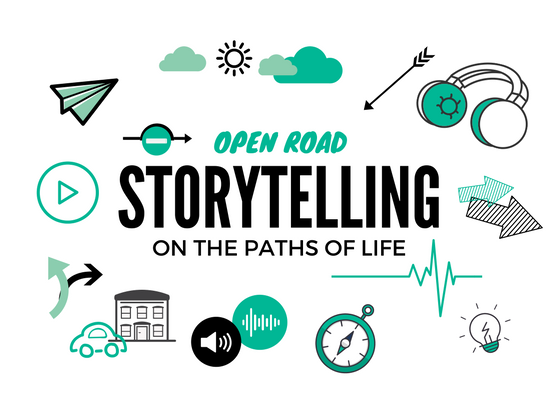 Specifically designed to develop confidence and trust, “Open road” encompasses a set of tools based on positive psychology, Design Thinking principles, growth mindset, self-efficacy and cooperation. “Open road” is based on creative collaboration and peer support towards a common goal. In so doing, the participants enjoy discovering and sharing everyone’s skills, creating thrilling characters and stories around them, and gaining self-confidence through this experience. “Open road” has been launched by the project named Konfidence of Adolescents in Action – KAA, powered by Renault Trucks. Partner with us to keep this programme alive! An increasing desire to connect with society in order to share and jointly work on advances in science leads research laboratories to create opportunities where societal issues are raised with citizens. This approach is aimed at enriching the way research topics are addressed. With their natural curiosity and sens of observation, children can significantly contribute to research by sharing their intuitive views on societal challenges and by suggesting new perspectives to find answers to those challenges. Thus, participatory research with children represents a pioneering source of inspiration for researchers. By taking an active role in contributing to scientific discussions, children also actively raise their awareness on the topic that is treated. Hence, participatory research workshops become a means to empower children while stimulating their interest for science. Imagineo commits to facilitating the relationship between scientific stakeholders and children by designing participatory research formats based on Imagineo’s educational approach. Two groupes of children have participated in research by speaking up on distraction in mobility. The children have identified distraction situations and shared them on a collaborative wall painting. They have chosen to work on innovative countermeasures to prevent mobile phone use while driving. The outcome of these pilot workshop has been presented at the International Conference on Driver Distraction and Inattention : See the presentation. The participatory research with children programme has been launched following a request of the Science and Society Department (PEPS) of IFSTTAR resulting in a first collaboration on the pilot workshops. Partner with us to create new opportunities for participatory research with children! 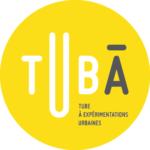 This programme – consisting of 12 workshops and rolled out at TUBÀ – encompassed the following topics: transportation, culture, education, wellbeing in community life, housing and food. Tiny innovators aged from 8 to 12 years old have imagined, experimented and prototyped their ideas for tomorrow’s city. This programme served as an experimentation and validation of Imagineo’s educational approach and allowed to observe its impact on children’s self-development. A large range of tools were designed and assessed throughout these workshops. Children were driven to create various outcomes: models made of recycled materials, connected objects by littleBits, drawings, audio and video recordings, board games and songs. By the end of each workshop, children we encouraged to pitch their projects in front of a camera. Their creations were showcased for the public through an exhibition at the TUBÀ space in Lyon. Children were driven to access their imagination through mental sound visualization techniques. The goal was to remix sounds of the train station according to children’s sensitivity and imagination. The participants collected the sounds through drawings and audio recordings in order to create an audio journey. Follow Philippe, the mouse that is discovering tomorrow’s train station, by listening to children’s recordings [fr]! Discover the testimonials [fr.] of children who participated in this workshop and the song they created about food in the city. This program was powered by TUBÀ in Lyon.